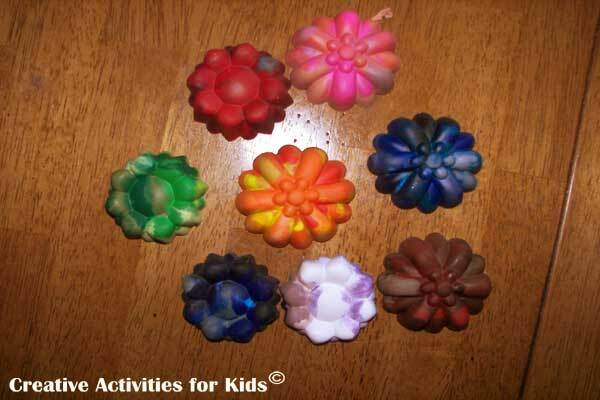 You can make crayons very easily, and your kids will love them! Your kids will love the unique look of these. The possibilities are endless. I used a silicone muffin pan with designs in them, you do not need to use liners if you use silicone. 2. Remove the papers on your crayons, and break them up. 3. 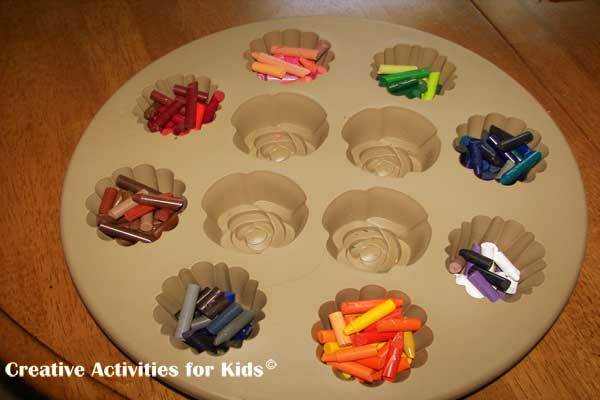 Place crayons into sections in your muffin pan, you can make multi colored crayons, or keep each crayon in the same color family. 4. Place in preheated oven until they are totally liquefied. 5. Remove from oven and let them cool. 6. 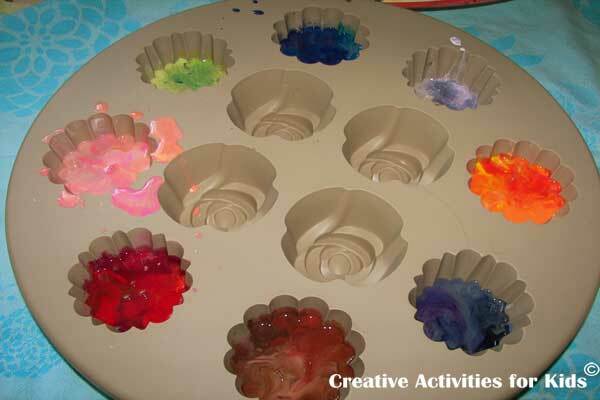 Remove crayons from pan or liners and enjoy!! Did you like the make crayons tutorial? Try more DIY craft supplies here!